ANSI Compliant background material is bright, breathable, lightweight, 100% polyester open weave knit mesh. 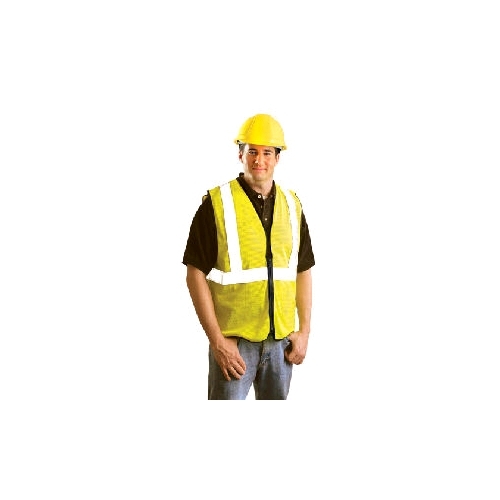 Reflective 2" 3M™ Scotchlite #8910 reflective tape is compliant with Class 2 configuration - One 360° horizontal reflective stripe and two vertical shoulder stripes. Nylon zipper closure. Patterned after our extremely popular SSG Economy model except with zipper closure in front and cool mesh fabric.